If you remember, I shared some of my experiences in Hawaii to celebrate my 30th birthday here and here, and I also talked about what I learned from the ocean. One of the things that I learned is what the ocean gives, it quickly takes away. I experienced this as I was trying to capture seashells before they were taken back into the ocean by the returning wave. 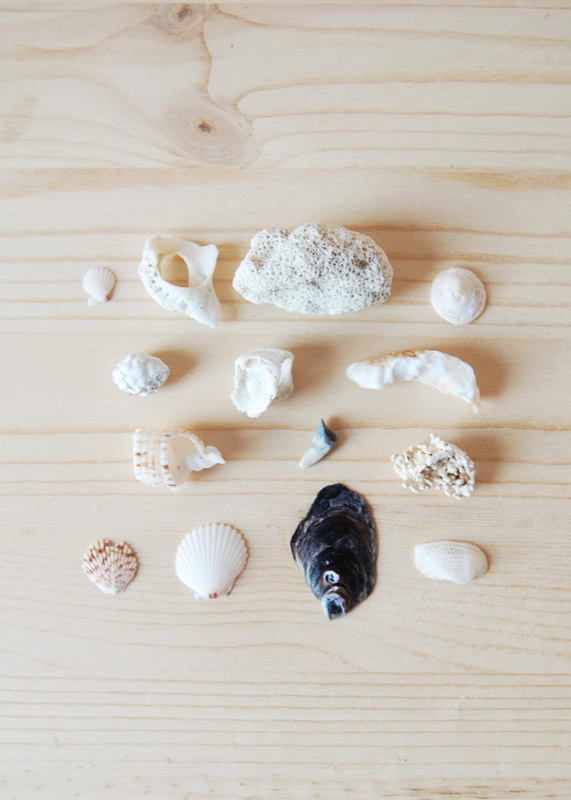 Above are the seashells that I managed to take from the ocean, and I am so excited to share them with you. I have always been fascinated by sea shells and the different forms that they come in. The top three rows were collected on the South Shore of Oahu at Waikiki Beach, and the bottom row was gathered at the North Shore of Oahu at Waimea Bay. What I love most about these shells is how different the two collections are: from the South Shore most of the shells are round and large, and from the North Shore the shells are small and flat. I also like how worn some of the shells are -- like they have been waiting in the ocean for me to scoop them up.